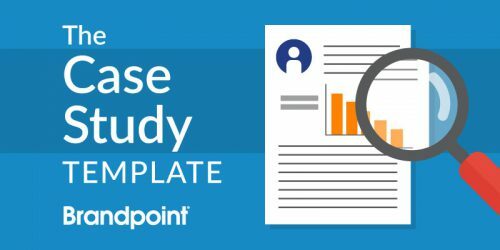 When given the choice between content like blog posts, infographics, social media posts, among others, survey respondents in HubSpot’s Content Trends Report said they are most likely to pay the closest attention to videos. They also chose videos as the no. 1 piece of content that they want to see more of from marketers. There are a lot more stats out there that show the impact videos have on increasing conversion rates, helping consumers through the decision-making process and generating more social engagements than a piece of written content. But what keeps a lot of brands from putting videos out there is the lack of expertise or resources to produce something with cinematic, big-screen quality. But you don’t need 3-D special effects and CGI to create a video that will resonate with your customers. With a smartphone and free basic editing software such as iMovie, Movie Maker or the Adobe Premiere Clip app, any brand can produce a video. The script comes first. That’s one of the most important things to know about the process of creating a marketing video. Get those words chiseled onto stone tablets before your designer starts working. It will mean going back and forth with your manager or your client as many times as is necessary to get the words approved. It’s easier to make changes to a Word document than to a recorded audio or video file. So save yourself time and headaches by nailing down the script beforehand. Begin with the end goal in mind. Who is the audience? Who cares? What are the takeaways? What is the purpose of this thing, anyway? Also, consider the format of the video. Will it feature people talking directly to the camera or will they be acting out a scene? What will the setting be? Or will the script be a voiceover set to B-roll footage or a motion graphic? If this is the case, you may need to coordinate with the designer to make sure the script is a certain length and matches the scenes that the designer has planned in the storyboard. We are not remaking Gone With the Wind. A video that lives on a blog should be no more than two minutes long, shorter if possible. Why? Because people aren’t going to invest a lot of time in this. A shorter video also forces the scriptwriter to only include the most meaningful details about your product, service, or message. Every word counts! With that in mind, hook people early. You’ve probably heard the stat that people have a shorter attention span than a goldfish. While that might not be completely accurate, you want to show customers and prospects that it’s worth it to stick around for the entirety of the video. In the first 10 seconds, establish the value and purpose of the video and what viewers will learn. Stick with one central idea, concept or theme. If you’re trying to fit too much information in a one or two-minute video, it’ll be hard for viewers to follow along and walk away with a clear understanding of your message. Use “you” a lot. It personalizes your message and hooks people in. The script should also be casual and conversational like you’re eating nachos with friends and yakking about the great new thing you bought. That means you can start a sentence with a conjunction and use incomplete sentences (sorry, editors). And don’t worry about using AP Style. Before writing the script, write a question at the top of the document. This is the question your video will answer. 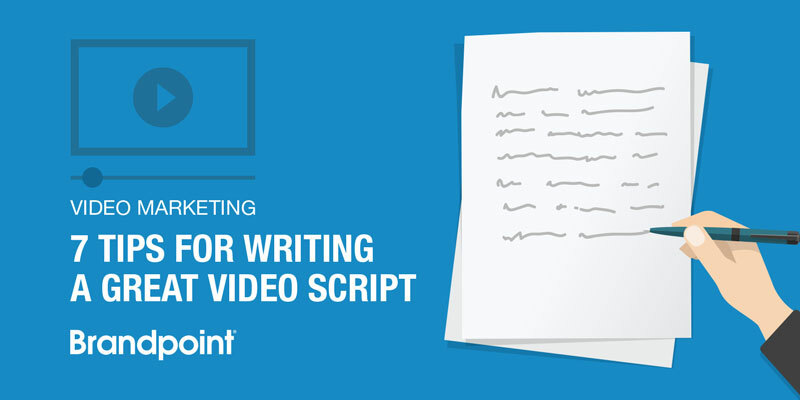 Then, write the script as if you are speaking with a customer or coworker. Whether using a voiceover or subject in the video, the person’s voice should sound friendly and energetic to exude passion for your brand. A monotone voice communicates boredom. And avoid preaching — nobody wants to be taken to school when viewing a marketing video. They want to learn something or be entertained. Compel the viewer to do something. Whether the CTA is to visit your website to learn more, sign up for an event, download a resource, etc., include only one CTA and make it clear. Also include the CTA and a link in the description of your video. If users don’t have the time to view your entire video, they might still be interested in learning more or downloading your resource. You’d be surprised how different it sounds and flows when read out loud. A good rule of thumb is that if you have to take a breath in the middle of your sentence, then you might want to shorten it or cut it into two parts. Read the script in the desired tone to see if the words fit with the message/tone you’re trying to communicate. And don’t forget to time it! Though the time will change depending on who will be reading the script, try to read it at the desired speed. Read at a moderate pace and annunciate the words more than you would in a normal conversation. It might feel strange to read the script in this manner, but it will sound crisp and clear to viewers. Even if your script isn’t perfect, it can be adjusted during the recording of the voiceover or video. After producing several videos, you can then begin testing to see which messages and types of videos your customers and prospects like best. Remember, don’t let a lack of resources stop you from producing videos! Just go for it and give your audience a new way to connect with your brand.